Home to 60% of the world population, Asia packs quite an economic punch. By 2030, two-thirds of all middle-class spending power will be concentrated in Asia, according to a report by OECD Development Matters. China, India and Indonesia alone will drive $20 trillion in consumer spending — an enormous tipping point for both global and regional businesses looking to stay ahead of the curve and shape industries of the future. If the American middle-class boom defined the last century, keeping pace with the needs and sensibilities of the ascendant Asian middle class will shape the next. With this economic power comes cultural cachet. Popular figures from East Asia have steadily entered the western public consciousness in recent years. An all-Asian cast in the 2018 blockbuster Crazy Rich Asians sparked passionate dialogue about how Hollywood represents Asians and shone a new light on the Overseas Chinese experience. Marie Kondo, who’s been called “a Mr. Miyagi for the anxious, late-capitalist, consumerist age,” is now a household name (pun intended) who turned the mundane task of tidying up into an exercise in mindfulness. And what better sums up the hallyu Korean wave than the success of pop music sensation BTS? The group’s Love Yourself: Answer album has topped US Billboard 200 charts more than once, unleashing a K-pop boy band craze not unlike the British Invasion during the 1960s. When it comes to cultural imports from the East, there’s truly something for everyone. Millennial foodie? Cheese tea and yuzu juice join boba as sought-after beverages. Diehard fashionista? Maximalist visuals of Japanese shrines and lush florals unveil Kenzo’s SS19 collection. Beauty blogger? Dedicated Sephora aisles gleam with Korean sheet masks. As food, music, movies, lifestyles and ideas from this part of the globe reach westward, it’s worth examining culture’s role as a form of “soft power.” Harvard professor Joseph Nye coined this term in the late 1980s to contrast hard power — military force, nuclear energy capabilities, veto power over resolutions, economic might — with the subtler, more diffuse ways in which one country’s culture exerts influence over the others. Hard power intimidates. Soft power seduces. Lately, the hard power of western democracies looks to be collapsing in on itself. From America First to Brexit, populist movements in long-dominant countries are opening the door wide to the spread of cultural influence from other parts of the world. Chinese President Xi Jinping’s proposed Belt and Road Initiative — an historic ‘hard power’ move representing the most ambitious infrastructure investment ever to open up markets and facilitate international trade — finds a soft-power twin in the Boundaryless Retail trend started by Chinese internet giants like JD.com and Alibaba. “Americans and Europeans see walls going up, but across Asia they are coming down,” declares author Parag Khanna in his new book, The Future Is Asian. What can we learn from the way East Asia wields soft power? The influence of kung fu on western hip-hop culture holds some clues. The 1,500-year old Chinese martial art first started gaining ground Stateside in the debt-ridden New York City of the 70s, when among the only movies that grindhouse theaters on the Deuce could afford to screen were action flicks from Hong Kong. Young, working-class people of color in the audience were wowed by the films’ quirky aesthetics, chic uniforms, the swagger of low-spinning sweeps, and the indomitable warrior spirit of non-white hero Bruce Lee. “Both as a character and as an actor, he had a philosophy of self-reliance and discipline that resonated with the messages of the black power movement,” a Vulture review of Netflix’s The Get Down explains. Grappling with new forms of discrimination and systemic oppression in the post-civil rights era, black communities were empowered by the symbolic narrative of standing up to and defeating unjust villains. Thus began hip-hop’s curious and lasting love affair with the martial arts. 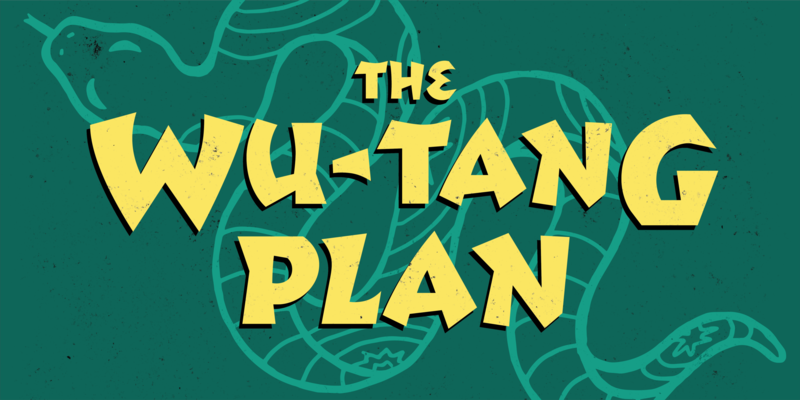 Take Wu-Tang Clan, the legendary hip-hop group from Staten Island that named itself after the 1983 Hong Kong film Shaolin and Wu Tang. Recognizing Eastern spiritual wisdom flowing through Wu-Tang’s ethos and lyrics, New York City-based cult beauty brand Milk Makeup recently embarked on its first-ever brand collaboration by partnering with Wu-Tang’s RZA and his wife Talani Diggs. The result: a limited-edition ornate lipstick recast as a self-defense weapon for women recast as modern warriors. Forty years ago who’d have thought that a Chinese martial art would travel from its obscure influences on a musical genre to making a grand appearance as a self-empowerment theme in an American makeup brand. While this may have been more happy accident than deliberate strategy, it shows how soft power helped China kill two birds with one stone (or feed two birds with one scone, as PETA prefers). The potency of soft power today signifies a shifting global landscape. For western businesses that want to stay relevant in a changing economic landscape, navigating this shift depends on knowing how to read the room, pick up on subtle cues and act on what people are drawn to. None of this is to say that hard power matters any less. It doesn’t. But the vast majority of brands don’t have the ability to intimidate, so understanding soft power is key to staying relevant. The rise of East Asian influence in the West is, at the moment, a door creaking open. The future belongs to the brands that notice the light shining through the crack, grab the handle, and throw the door ajar. This post was written by Shivani Gorle with thinking contributed by Brendan Crain. ThoughtMatter is a creative branding, design and strategy studio in New York City’s Flatiron District. Find us on Twitter.